Katie Derham presents a lively mix of music, conversation and arts news. Her guests include actors Matthew Kelly and David Yelland with director Philip Franks, who will be touring Alan Bennett's play The Habit of Art around the country this autumn. 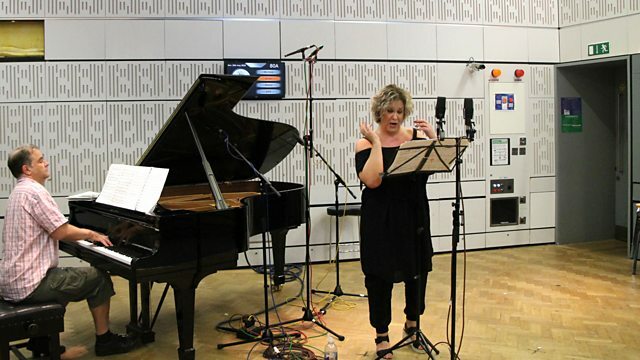 Pianist David Quigley plays pieces from his new album live in the studio and Alice Coote performs live with Julius Drake ahead of their appearance at Machynlleth Festival later this week. Performer: Alisa Weilerstein. Orchestra: TrondheimSolistene. Performer: Anna Tilbrook. Singer: James Gilchrist. Music Arranger: Steuart Bedford. Orchestra: English Chamber Orchestra. Conductor: Steuart Bedford. Performer: Lucie Horsch. Orchestra: Amsterdam Vivaldi Players. Choir: Det Norske Solistkor. Ensemble: Ensemble Allegria. Conductor: Grete Pedersen. Lefebure-Wely Organ Music played by David Sanger. Performer: James Galway. Orchestra: National Philharmonic Orchestra. Conductor: Charles Gerhardt. The Man With The Golden Flute. Orchestra: Orchestre national de France. Conductor: Leonard Bernstein. Singer: Alice Coote. Orchestra: Hallé. Conductor: Sir Mark Elder. Performer: Alice Coote. Performer: Julius Drake. Performer: Gil Shaham. Orchestra: Russian National Orchestra. Conductor: Mikhail Pletnev. Glazunov/Kabalevsky: Violin Concerto etc: Shaham/Russian National Orchestra/Plet. Singer: Ann Murray. Choir: The Sixteen. Conductor: Harry Christophers.